Better Than FREE Revlon Tweezers at Walmart! Here is an awesome freebie that you can score at Walmart! 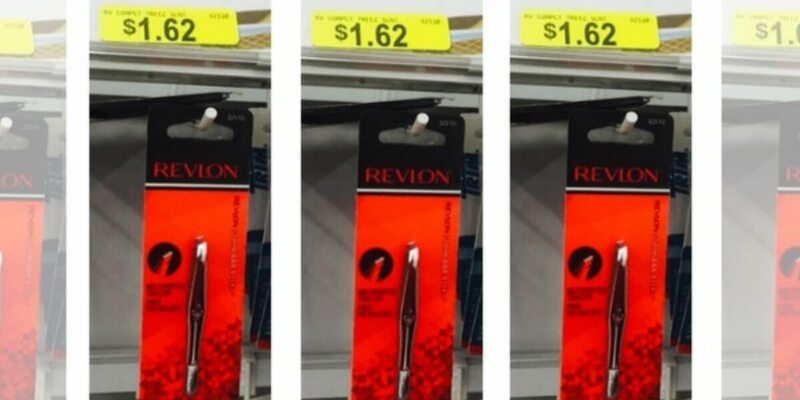 Walmart sells the Revlon Tweezers for $1.62. We have an awesome high value $2/1 Revlon Tweezers or Lash Curler coupon from this weekend’s SmartSource Insert making these FREE + $0.38 money maker after stacked offers! Note, this coupon is regional, so is there is no guarantee that you will receive it in your area. Confirmed! ShopRite Kimberly Clark Catalina – Cottonelle Bath Tissue as Low as $0.21 per Roll + More Deals! Rubbermaid Easy Find Lids 18pc Storage Sets as Low as $0.99 at ShopRite!